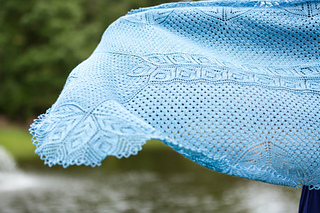 Caridad is a large rectangular shawl that features the same construction method as Amillë. 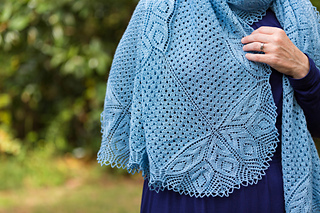 It begins with a circular cast on at the center, then the central strip is worked on both sides. 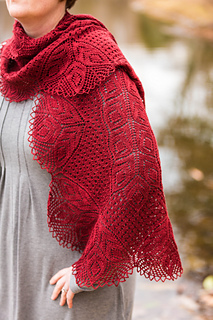 Stitches are then picked up around the perimeter of this strip, and the remainder of the shawl is worked in the round. 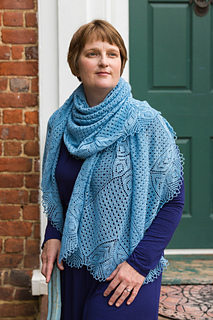 Although the end result is quite complex, it uses only basic lace stitches, and the repeats are intuitive to work. Pattern is charted only, there are no line by line directions. 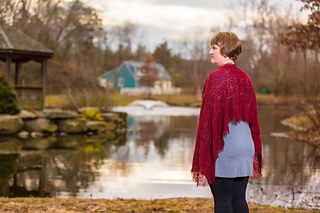 Small size uses roughly 1,400 yards lace weight yarn, Large size uses approximately 2,000 yards lace weight yarn. 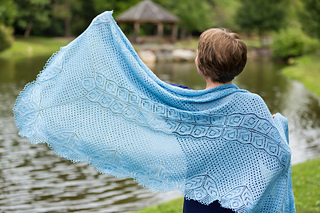 You will need a long circular needle (at least 60”) as well as double point needles in the same size to work this design.